One ruler had a penchant for gilded palaces, poorly-executed jokes, financial irresponsibility, and nepotism. The other was a Roman emperor who thought about making his horse a consul. Is Jared Kushner the American equivalent of a horse-consul? Perhaps it’s Sean Spicer? Kellyanne Conway and Betsy DeVos both feel right as well. This comparison isn’t just to be glib, though that’s certainly in fashion amongst the Resistance. Rather, it’s to illustrate a wider point. As Caligula’s excesses and buffoonery represented lost opportunities for the Roman Empire, so too does the presidency of Donald Trump, whose own over-the-top leadership and clear political incompetence squander the power of a great nation-state. Caligula, famously, helped spark the Jewish Revolt of 66–70 CE, when he dismissed Jewish petitions against Roman misgovernment by asking why Jews didn’t eat pork. Caligula was long dead by the revolt, assassinated by his bodyguard (perhaps our equivalent of Paul Ryan filing articles of impeachment?). Yet the four short years of his reign, from 37–41 CE, represented a lost opportunity to stifle that rebellion decades before it happened. Imagine if Caligula could have imitated Augustus Caesar, who handled Jewish politics with finesses. Would the Temple of Solomon still stand today, rather than being pulled down by Roman legionaries? If we look at Trump through the Caligula lens, we must look beyond just the personal excess and gilded palaces, past the emperor’s orgies and Trump’s reputed golden showers, and to the conditions behind them. As Caligula led a secure Roman Empire threatened by only by the mumbles of great disruption, so too does Trump. Caligula’s amoral rule did not bring down the Empire, since in the 1st Century the Empire was too well-organized and its enemies too weak. That collapse would come hundreds of years later, the result of a confluence of conditions that Caligula’s rule helped continue, but did not single handedly cause. The same can be said of Trump’s rule. Like Caligula, there are no great rivals to the United States: no Soviet Union, a China that still adheres to a peaceful rise, nothing but the battering of Sunni supremacist barbarians at the gates of the superpower. The territorial integrity of the U.S. itself is not even remotely in question; Putin’s wild-eyed gambit to force a California secession ended in laughs. Its allies, some of whom are alarmed by the current White House, are content to wait out Trump. Yet beyond the maximum 8 years of a Trump presidency, great challenges loom. None of them are being addressed by Trump. If Caligula’s malfeasance helped spark the Jewish Revolt, with its far-ranging consequences, and did nothing to alleviate the excesses of the Caesarian imperial system, Trump threatens to cause wars that might otherwise be avoided while reinforcing all that is irrational about the United States. Trump is a harbinger of an unfortunate turn in American history. While the people voted for Trump the man – it is Trumpism that they really voted for, and if Trump doesn’t hand the people what they want, a future President Cruz will. This is America’s unfortunate 4th turning, and it has a long way to go. By the time this is over, Whites will no longer constitute a majority, especially in the “Mexicanized” American Southwest. The tide would then have turned enough in favor of the colored descendants for their turn to hijack the Democratic Party and use their Ethno-Nationalist call to reclaim the land of their 19th century forefathers. This is the path we are on. History told and warned us that multi-ethnic empires are inherently unstable; yet I don’t believe we could or should have maintained our homogeneity. Fate has it that this is the fatal intrinsic flaw lurking for every empire the preceded us – and no, this time it’s not different. You seem to be sure of America’s physical security. The question in the 21rst will not be who controls the United States; the question will be who controls North America. While the Fourth Turning is a fascinating book with valuable insights, it is unfortunate that many of its readers also adhere to a mindset of giving too much value to defining groups by ethnicity. Unfortunately, most interpretations of ethnicity by interested amateurs, rather than scholars at universities, comes down to the arbitrary value of race, i.e. skin color. This is not helpful in terms of deciding on or judging politics or policy. 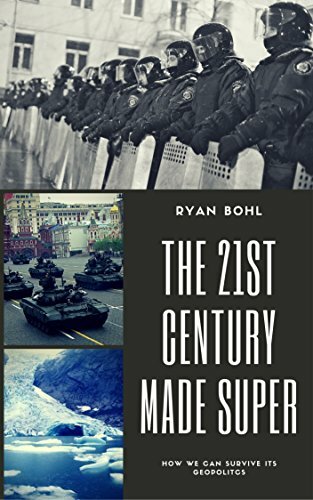 That said, where I agree with you is that Ryan Bohl´s security, resilience and power judgement with regards to the state of the US is a tad rosy. There are many assessments based on sound or lesser sound logic that estimate a much quicker crumbling of the US empire. And, considering the context within which the US is currently positioned as well as its nincompoop of a president, the Fourth Turning is one of them. Caligula ruled 400 years before Roman Empire collapsed. Btw, how can Trump be responsible for Sunnis? Or Middle East for that matter? I think that Kennedy rise&fall guy would not agree with this text. Western Roman Empire is generally seen to collapse in 476 – though debating the proper end of the Caesarian system is something for another day. It’s not just about the proper end. Jewish lands were part of the Empire after 476. Where’s the connection with Caligula? German tribes invaded the West. East showed magnificent stability. The problem is causality. No, where is the connection of Caligula’s dispute with Jews and Empire’s collapse? It seems like this relies to much on a not that important person. Julius Caesar was assasinated, too. Started a civil war, destroyed the Republic. Destabilized the state. Besides that, you said it yourself, there was no competition, therefore, we don’t know how strong and stabile Empire really was. It had no competition until year 300, when Persia started to rise again. Why would they move the state institutions to Constantinopole but to defend themselves? This all looks like the same story of moral corruption of Romans, “saved” by Christianity or whatever. Now Trump will be guilty for something he’s not, and Caligula destroyed Rome cause he talked to horses. Would it be OK if I cross-posted this article to WriterBeat.com? I’ll be sure to give you complete credit as the author. There is no fee, I’m simply trying to addx more content diversity for our community and I liked what you wrote. If “OK” please let me know via email.